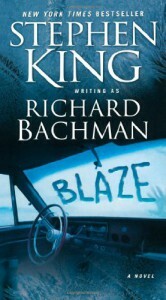 This was a quick and easy read with King's usual macabre twists. If half stars were allowed, I'd give it 3 and a half. I enjoyed this revenge story that steams out of control, although, I must admit that the end was a tiny bit predictable. Still, worth reading. 'Thinner' raises questions about right and wrong that leave you feeling slightly sorry for both sides.